Hello there! 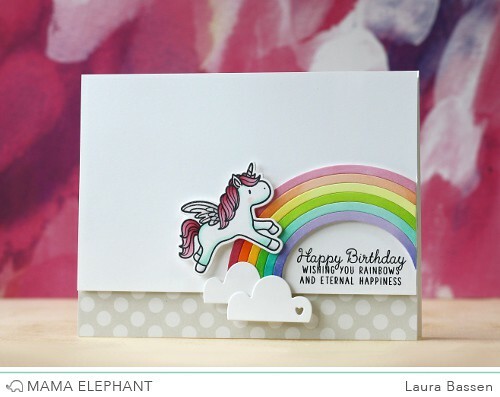 Laura here and today I'm sharing a project featuring the new Unicorns and Rainbows stamp set along with the Rainbow High creative cuts. I colored the unicorn and rainbow with Copics. It was much easier to cut the strips in the rainbow apart to color them. Loving how that sentiment fits inside the rainbow like it was meant to be. Such a pretty card! I love your signature rainbow touch to this one. Thanks for sharing. So glad to see the rainbow again! 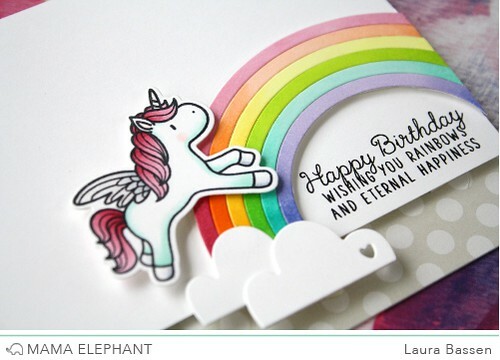 That's what I think of: Laura/rainbows TFS such a cute card! Oh my gosh, yes, Lisa Franks! I still have some Lisa Franks things and I still love them. This does remind me of that! It's so colorful and I love it!I know this is supposed to be a unicorn but my nephew had a pegasus that he slept with from Disney World. He had 2. He misplaced one and my sister had to go on-line and get him another one because he was so upset when they couldn't find it and then they did so that's why he had 2. He called him Peggy because he couldn't pronounce pegasus. With the wings it reminds me of him. Fabulous card! Love the unicorn and rainbow. 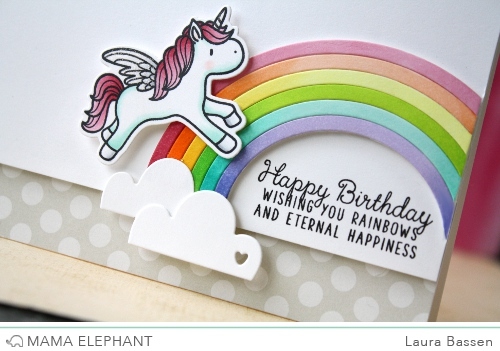 Adorable card...love the rainbow so much!